One of the saddest occurrences in any squadron is the loss of a member -- or former member. 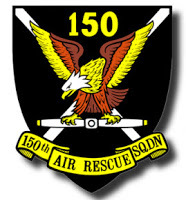 Squadron 150 has suffered such a loss just recently. Lt Col Bob Van Horn has untimely left us this past month. Those of us who knew Bob will miss his sage advise, wit, and salty humor. We are grateful for his dedication in the past to this squadron and to Group 7. Robert "Bob" Van Horn died Aug. 25, 2013, in St. Louis, MO. He was born In Lehighton, PA, Jan. 5, 1936, beginning a life that spanned the globe. He graduated from Heidelberg American High School, Heidelberg, Germany in 1954 and followed in his father's footsteps by joining the Army that same year. He embarked on a 22 year career that took him to Korea, Vietnam, Thailand, Germany and various stateside assignments. He retired from the Army in 1976 as Command Sergeant Major. Bob used the experience and knowledge gained in the Army for a second career in the private sector that spanned the next 21 years. He also used that time to further his education at Regis College (now University) in Denver, Colorado and Golden Gate University in California. He shared his knowledge as Adjunct Faculty for Golden Gate University's Southern California campus and at the Senior Learning Center, "OLLIE" at CSU Long Beach. Bob was a member of CAP (Civil Air Patrol) for 20 years, taking part in Search and Rescue Missions and performing multiple administrative functions. He flew missions for Angel Flight and spent hours keeping his plane flight worthy and helping others do the same. Bob enjoyed bowling, skiing (in younger years), traveling and tinkering on most anything. He was an avid reader of novels, technical magazines on many subjects and history. Bob never met a stranger and was always willing to lend a helping hand. He had a joke for any and all occasions. He is survived by his wife of 55 years, Darrelyn "Danne" Duprey; son, Roger of Chesterfield, MO and six grandchildren, Bronwynn, Matthew, Jacob, Chad, Andrew and Bailey. He was preceded in death by son, Richard and daughter, Sheryl. Memorial Service will be held at Lakewood Masonic Temple, 5918 E. Park Crest, Long Beach, CA 90808, September 20, 2013 at 1:00 p.m. In lieu of flowers, donations may be made to Angel Flight West, 3161 Donald Douglas Loop S., Santa Monica, CA 90405. Please keep Bob and his family in your prayers.